ADSC respects your rights to privacy and we are committed to protecting your personal information. The purpose of this privacy notice is to explain how we collect and use personal information. "ADSC Limited" (referred to as "ADSC", "us", "our" or this policy) primarily refers to the business of ADSC Limited who is the "data controller" of all personal information that is collected and used about our customers for the purposes of Irish and European Union data protection law. 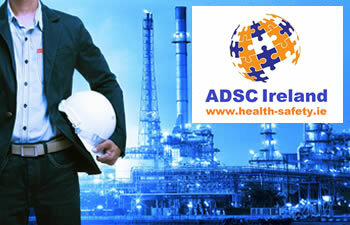 ADSC Limited is registered in Dublin, Ireland with registration number 408454 and registered offices at Robertson House, Unit 49 Baldoyle Industrial Estate, Dublin 13. ADSC obtains personal information when you explicitly provide it to us, or information that we gather from your use of our website, your use of our services and the technology you use to access our services (for example your booking location, Internet Protocol (IP) address, or telephone number). In circumstances where you are unable to provide personal information which we require for statutory or contractual reasons, we may be unable to process your transaction. particularly around VAT and also to ensure that we provide the correct currency of your home country where necessary. ADSC will not retain your data for longer than is necessary to fulfil the purpose for which it was originally collected. We will also consider the nature and sensitivity of the data, the volume or size of the data collected as well as our legal obligations, in determining the appropriate retention period for the relevant data set. We anonymise and or delete data that is no longer required. Your privacy and the security of your data is of critical importance at ADSC. When you access our website you do so through secure servers. The use of Secure Socket Layer (SSL) technology means that all personal information, such as your credit/debit card and address details, will be encrypted as it travels from your computer to the ADSC booking system. SSL is an industry-standard method that is used to transmit personal information securely over the Internet. Our use of SSL and digital certificates ensures you are actually sending data to ADSC rather than a third party, so you can be confident of safely and confidentially completing your reservation. To maintain the accuracy of your data, as well as preventing unauthorized access and correct use of all data, ADSC uses the appropriate physical, electronic, and governance measures to secure the data we collect online. Please ensure that you keep your ADSC account details confidential and set a password that is difficult for others to guess.